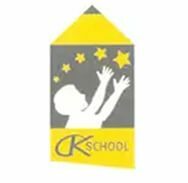 CavinKare patronises a school in the coastal area of Cuddalore. "The school strives to bring out the best in students who will probably grow up to become great business acumen, alongside their regular Physics, Chemistry, and Mathematics and so on", says CK Ranganathan, CMD, CavinKare Pvt. Ltd.
A special curriculum has been developed to realize this dream. The objective of this dream is to apprise students of small business operations and develop in them, a business acumen with emphasis on real life situations. Students are be provided with lessons on entrepreneurship and small business models by experts from the industry. CavinKare also patronises an Institution of higher education viz. 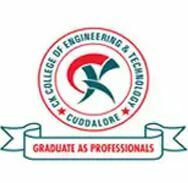 the CK College of Engineering and Technology, situated in Cuddalore with an aim to impart world class professional education, especially to the students in the coastal regions of Tamil Nadu. These are those areas where people find it difficult to get quality education that helps them build a career and we realized the need for a professional education centre. This is when the CK College of Engineering & Technology came into the scenario to provide the students with excellent professional education as there is a dearth of quality higher education in the rural areas.